The second international scientific conference on Functional Food was held on 22 November 2018. This conference was filled up by more than 300 delegates who were the leader of Government agencies, Ministry of Health (MOH), related association as well as Vietnam Food Administration and foreigner visitors. It is great honor for IMC to participate in this event as invited guest and lecturer. 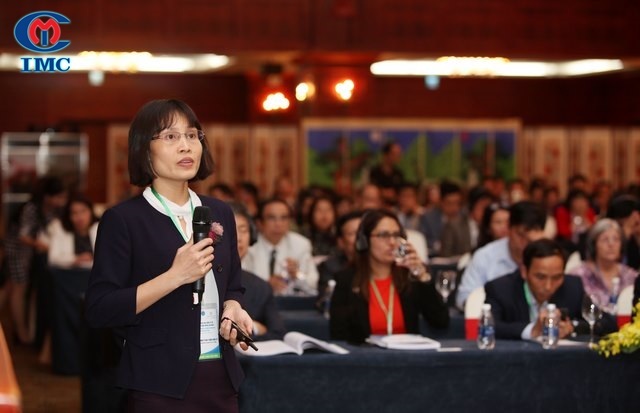 The conference was organized by Vietnam Food Administration (VFA, an agency under MOH) in combination with Vietnam Association of Functional Food (VAFF) in the second time. Exchanging administrative experience, sharing information, scientific achievements and technology in the field of Functional Food were main targets for this meeting. The experts coming from Vietnam and international focused on 3 important topics: Food safety management for functional food, the progression of forming, development and international integration in functional food, thematic research on functional food. “Research on production process in functional food” was the studies of IMC. Plenty of matter and technical point of view was brought to the light by this report. IMC has strongly believed in outstanding development of functional food in Vietnam in 2019 and desired to create natural origin and high effectiveness products for Vietnamese people.